Those words you whispered while we were dancing are a poet’s dream. As we tiptoed to the rooftop, said you saw a comet. Darling, it’s a shooting star. Make a wish as it passes by. I believe it’s a shooting star. You are here and my dreams came true. Something among the constellations, you said the stars are our witness. Sweetheart, our love is infinite ’cause we belong forever. Darling, there’s the shooting star. Let’s lie down and enjoy the night. 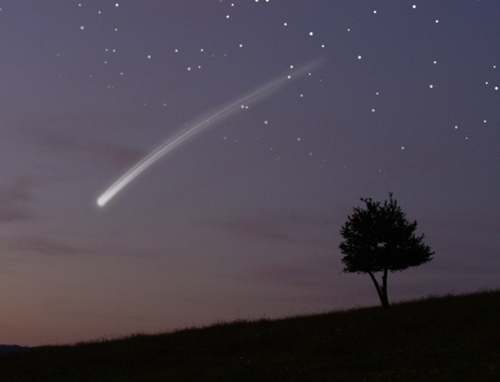 ‘Cause there’s the shooting star. Wishing us to be happy and feel the love. This entry was posted in Uncategorized and tagged constellations, dreams, love, relationships, shooting star, stars. Bookmark the permalink.